“That was the best thing … ever!” If you’re looking for a succinct, heartfelt review, from a too-cool-for-school teenager, there it is. I’m not sure when or how my son, Monty, become obsessed with Queen. I find it quaint, given the band released their self-titled debut album the year I was born. Not that I’m surprised, of course. Not even a year of home-schooling was enough to make Monty pop-culture illiterate. And like everyone else with a music streaming subscription, he has the world’s biggest record collection in his pocket. At Monty’s age, I was listening to the Triffids and Billy Bragg. And, of course, watching The Young Ones – which is why I was excited to have to stand for Ben Elton at Friday’s premiere, as he moved along our aisle to his seat in the dress circle. “We’re in Ben Elton’s inner circle!” my son texted his friend. Elton wrote the script for We Will Rock You back in the early 2000s. It ran in the West End for 12 years, and has now been staged in 17 countries. Rather than tell the story of rock royalty Queen, Elton created a framing story in which to accommodate 25 of their hits. (This came as a surprise to me. Clearly, I have been living under a rock.) It’s a story critiquing corporate greed and cultural homogenisation, and championing creativity and diversity. The musical is set in a dystopian world called iplanet, run by a corrupt multinational called Globalsoft. Musical instruments have been banned, by decree of the Killer Queen (Dean Misdale – aka Feminem). Individuality is all but dead. 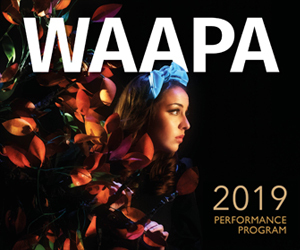 The Bohemians, led by Bitt and Oz (Courtney Murphy and Paula Parore), worship fragments of ancient rock texts and seek a saviour to restore the free exchange of thought, fashion, and live music. Their saviours emerge in the form of two rebels who have escaped from brainwashing detention: the dorky but indefatigable Galileo (Blake Williams), who hears voices and sounds in his head, channelling lyrics and tunes from rock’s long-lost history, and the feisty, free-thinking Scaramouche (Holly Denton). After being arrested by the Killer Queen’s head of police, Khashoggi (Ryan Dawson), falling in love with Scaramouche and evading the Killer Queen, Galileo is able to unearth Brian May’s “axe”. Normie Rowe stars as Buddy, who helps Galileo and Scaramouche in their quest to re-electrify the world with music. Galileo speaks in a stream of iconic lyrics. Sometimes it is hilarious, other times cringe-worthy: “No, Scaramouche! I still haven’t found what I’m looking for! I can’t get no satisfaction, you don’t stop until you get enough.” I suspect many lines went over the head of my teenager: “What the hell is a… tambourine man? What’s the story, morning glory? Who was the real Slim Shady?” But the plentiful references to contemporary culture, in the obviously refreshed script, kept viewers of all ages engaged. 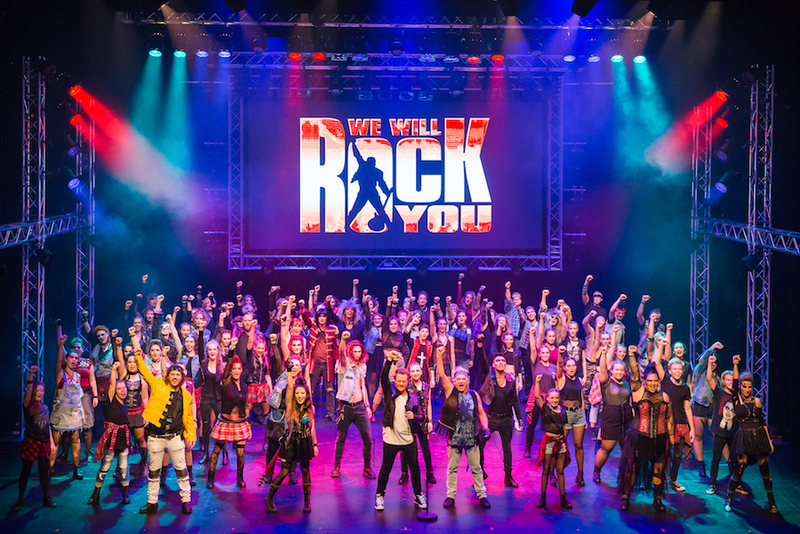 Produced and directed by Trevor Patient, with musical direction by Frank La Cava, this is the first pro/am production of We Will Rock You staged in WA. The production is supporting HeartKids in memory of performer Ruby Malcolm, who passed away in September 2016. It aims to raise awareness and raise funds for HeartKids, a national charity supporting children, teens and adults affected by congenital disease. The number of performers involved in We Will Rock You is staggering. The gorgeously quirky Bohemians number 30. Then there are about 40 dancers, and 58 singers in The Rhapsody Community Rock Choir. There’s a seven-piece band in the orchestra pit. In the program notes, Elton said he was “delighted that We Will Rock You was brought back to his home state in a production committed to encouraging an empowering local theatre talent alongside the professionals”. The star of the show, for me, was Feminem – and Leah Andrews’ costumes really are dynamite with a laser beam. It’s crazy to think Killer Queen hasn’t been played in drag before. No turning back! The punk-gothic look of the Bohemians’ costumes were a nostalgic feast, too, reminding me of my 80s and 90s wardrobe. After the show, my son exchanged text messages with his friend, who was lucky enough to see Queen at Perth Arena earlier this month. “He says he’s so jealous!” he declared with glee. 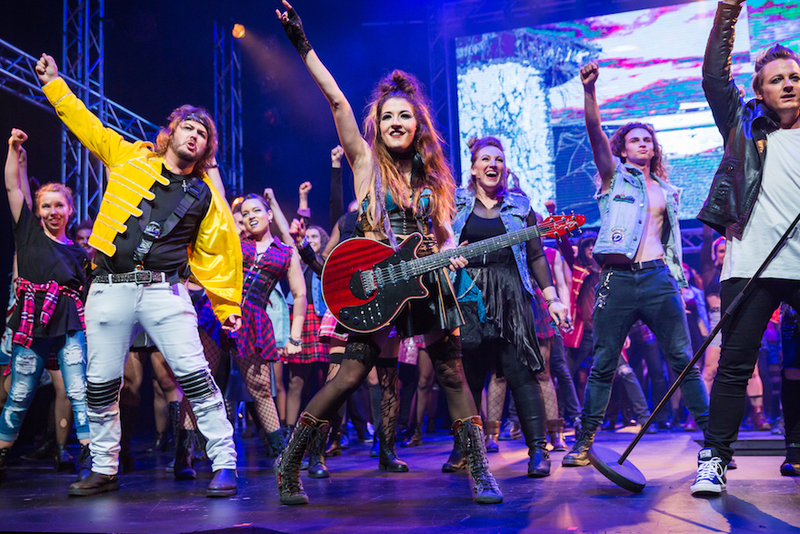 We Will Rock You plays until April 7.